FOR THE PLAYER SEEKING A MEDIUM TO HIGH BALL FLIGHT WITH SUPERIOR DISTANCE CONTROL. 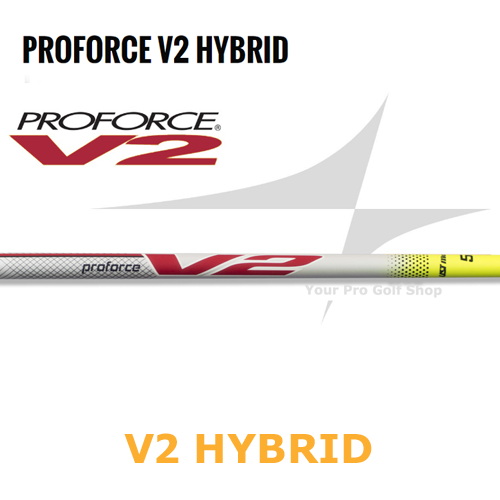 PROFORCE V2 hybrid shafts is a Tour-proven, high performance hybrid graphite shaft that features the highest quality materials for the best feel and performance. Utilizing UST Mamiya’s Proforce Tip Technology, the tip section has the perfect balance between flex and torque for producing medium to high launch with increased ball speed.